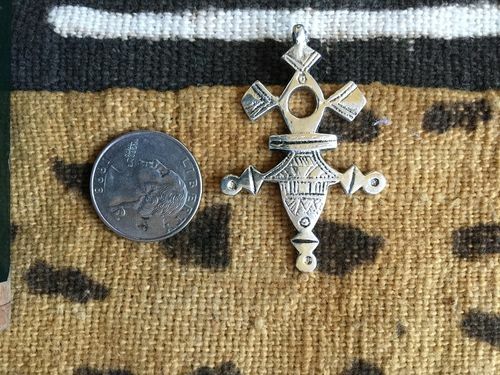 You will get one antique silver metal West African style Tuareg cross. 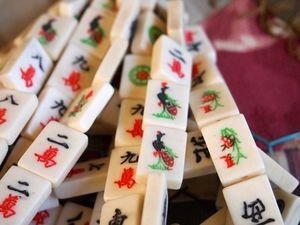 It measures just over 2 inches long (52mm) and 1-13 inch wide (34mm). 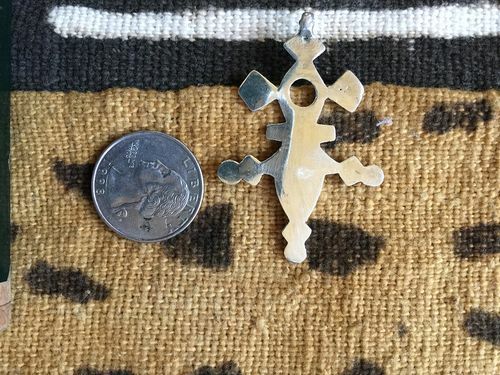 This cross pendant is newly made but is based upon an ancient design. It is lead-free pewter alloy. 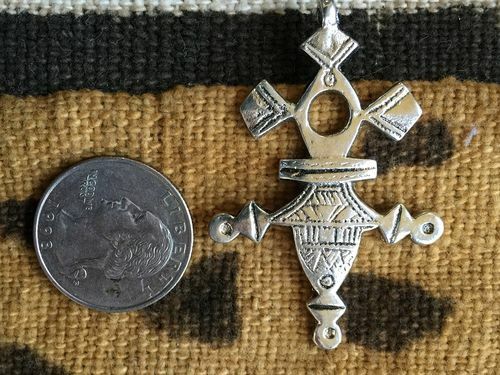 Great for earrings or as a focal point on your rosary or necklace. With an integral loop that is 2mm in diameter. The design is on the front. The back is smooth.